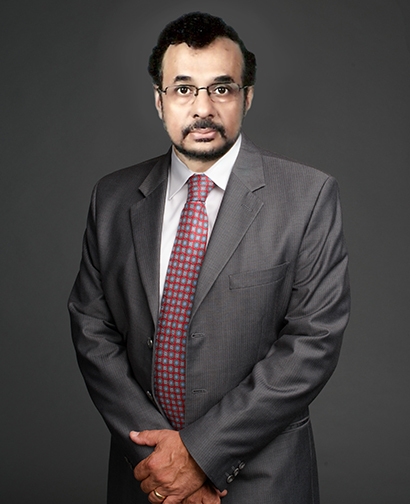 Dr. Chakrabarti serves as Vice President, Biologics & Biotechnology, USP–India. In this role, he oversees the development of quality documentary and reference standards for biologics and biotechnology at USP's facilities in Hyderabad, India. Dr. Chakrabarti joined USP in 2011, bringing with him more than 18 years of experience in pharmaceutical and biopharmaceutical industries. He previously served in a key management position in GVK Biosciences, the Indian Contract Research Company, for both drug discovery services and collaborative drug discovery research. In this role, he worked with several national and international pharmaceutical and biopharmaceutical companies for their regulatory filings with both small and large molecules. Dr. Chakrabarti was awarded his Ph.D. in biochemistry from the Indian Institute of Chemical Biology, India, and did his postdoctoral training at the State University of New York, Buffalo, U.S. He joined the University of Massachusetts Medical Center as a junior faculty member and successfully coordinated research projects in cancer cell biology and diabetes supported by the National Institutes of Health and ADA. After returning to India, Dr. Chakrabarti joined the Drug Discovery Unit at Dr. Reddy’s Lab, India. He was instrumental in setting up the Biology Group and led the Drug Discovery teams in the areas of metabolic disorders and infective and inflammatory diseases. He coordinated several collaborative Drug Discovery projects with U.S. and European large and midsize pharmaceutical companies. Dr. Chakrabarti has filed 7 INDs in the United States and Europe and is co-inventor on 42 U.S. patents. He has published 51 papers in peer-reviewed international journals and presented 51 lectures in international and national conferences. He has also guided Ph.D. students including in a collaborative Ph.D. program in the area of oral cancer biomarkers, with Deakin University, Australia.